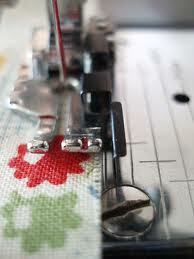 The iPad’s compact size and portability make it the perfect tool for the quilter. 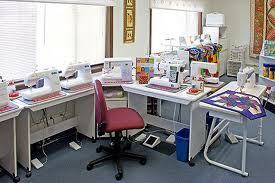 A number of very useful applications have been designed specifically for quilting. Many of these apps can also be used on iPhones, androids and smart phones, but the iPad’s larger screen is easier to read. Go to the App Store on your iPad if you wish to purchase these applications. 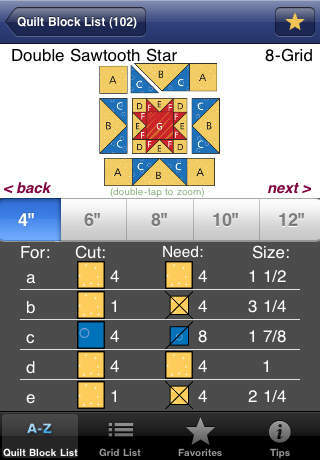 Quilt Calc is a very handy quilting calculator. It helps calculate how much backing and batting you will need for a quilt top, piece count and pieces to yardage area to help you make the best use of your yardage, how much binding you will need to make, and calculating border yardage. It will also help calculate set-ins and corner triangles for custom border work. 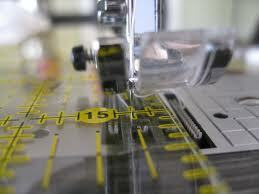 It provides measurements in inches, as well as making metric conversions. 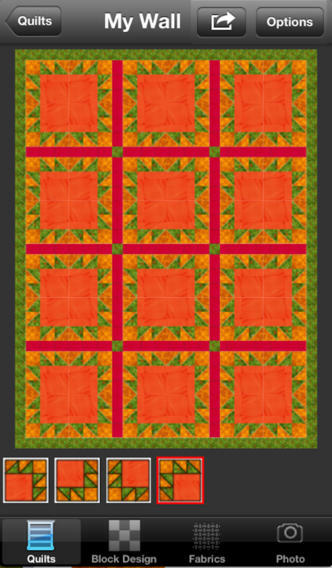 This app provides 102 rotary cut quilt blocks in five different sizes. Each block has accompanying design details and construction diagrams, as well as easy to follow rotary-cutting charts. There are also helpful reference tables, including yardage requirements. 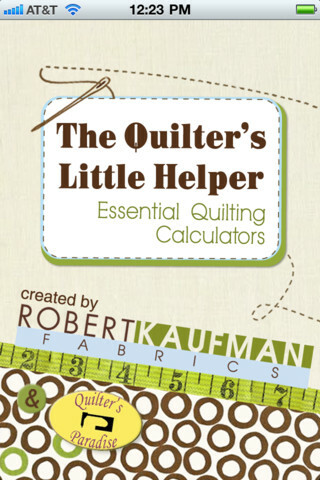 A very handy, easy to use, no-math tool for every quilter. 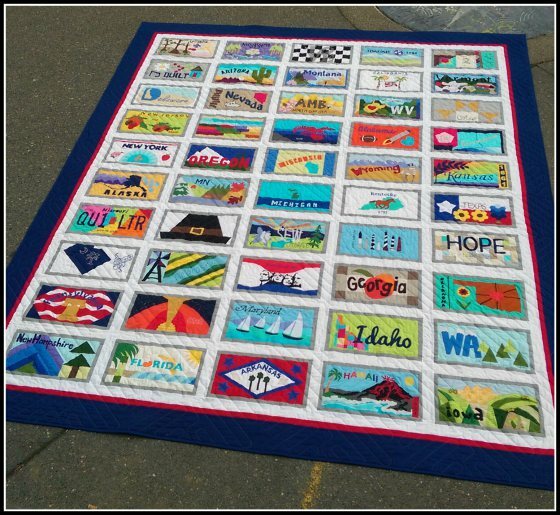 This quilt design application allows you to audition any color, or any fabric, in virtual blocks, borders and quilts of your design. Experiment with color combinations, and try blocks in straight settings or on point. 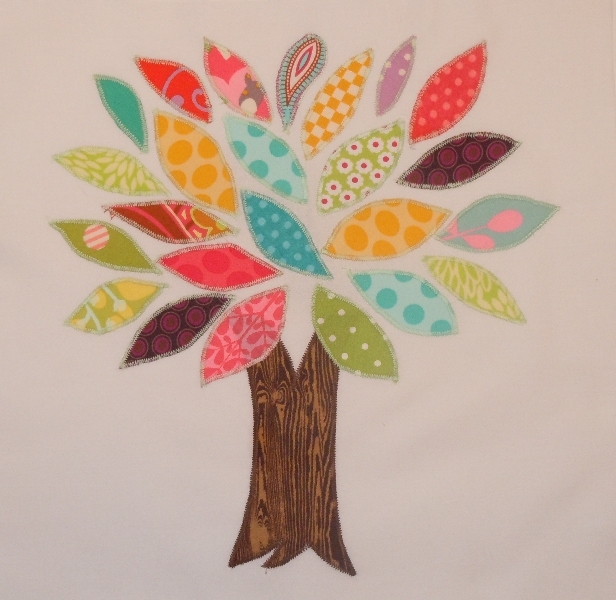 You can save your design and take it with you to the quilt store to shop for fabrics. 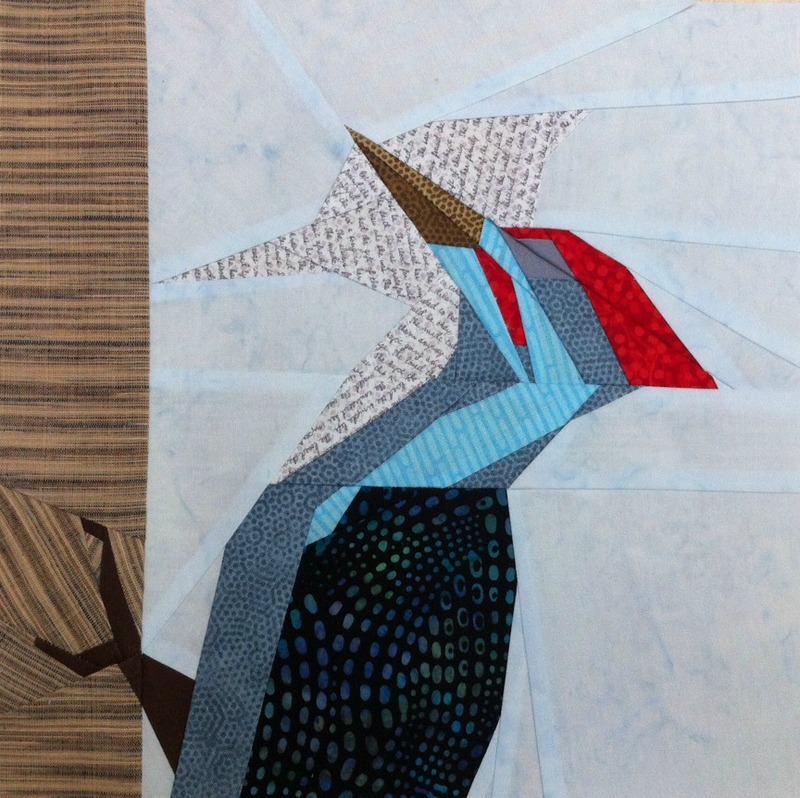 You are able to photograph and save images of fabrics, which can then be imported into your quilt design, to quickly determine how the fabrics will look in the completed quilt. You can photograph the fabrics in your stash and save them to the fabric library so you can audition them in a quilt design. If you are out shopping, you can easily pull up photos of fabrics you already own, to find the perfect coordinating fabrics. BlockFab is a free fabric calculator utility application. 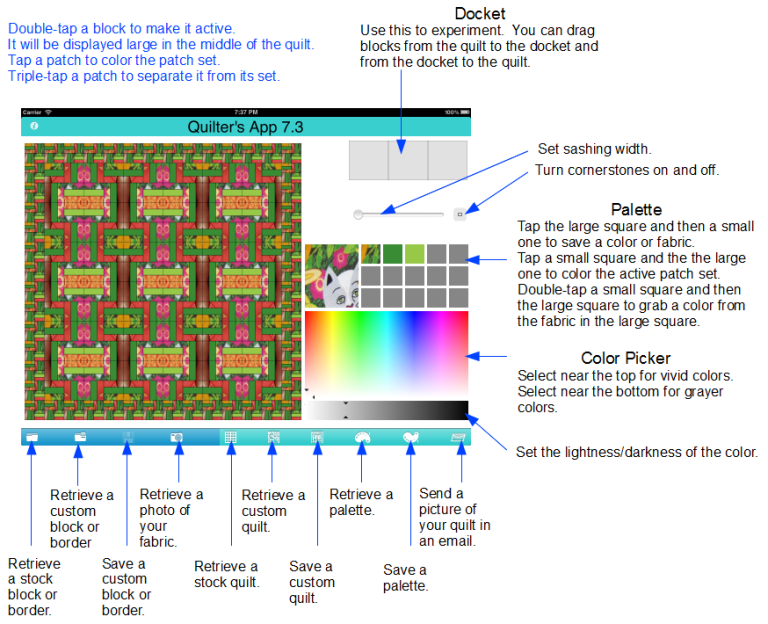 It is not a quilt design app. However, it will let you quickly see the results of various design, color, and layout possibilities. 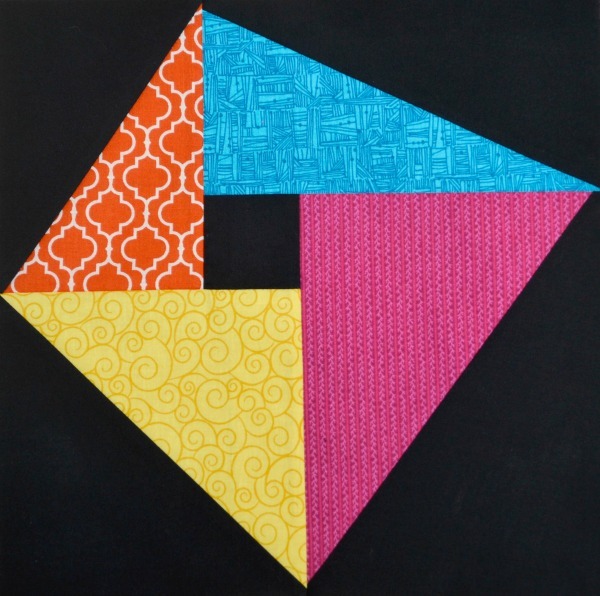 If you have a pattern you like but you want to customize it by changing the size or number of blocks, or by adding a pieced border, BlockFab will calculate the fabric required. Choose from a small library of 50 grid-based blocks, or from a library of common patch shapes. Then choose the number and size of blocks or patches. 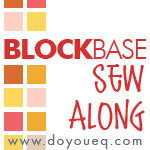 BlockFab will determine the amount of fabric you need to buy, and will give you hints on cutting the blocks or patches, based on the cutting assumptions used for calculating the fabric needed. Both English and metric units of measure are supported. QuiltFab is a related free fabric calculator utility for determining the yardage needed for the quilt backing, binding, and for up to three borders. Type in the size of your quilt top and the calculator will do all the necessary math for finishing your quilt. 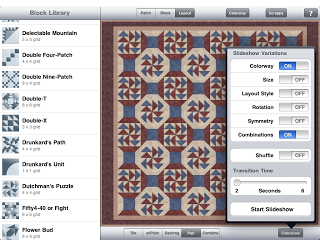 Quilting Wizard allows you to test fabrics for your project while you are browsing at the quilt shop or at a quilt show. 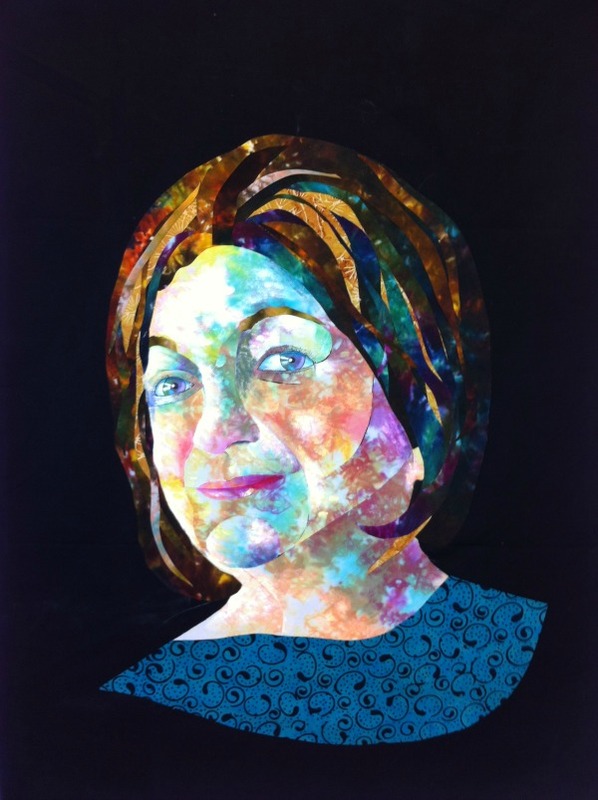 A unique feature is the ability to photograph fabrics using the iPad (or iPhone) and immediately apply them to a quilt design that you have created and stored in the app. You can also store the fabric photos in your custom fabric library for use at a later time. 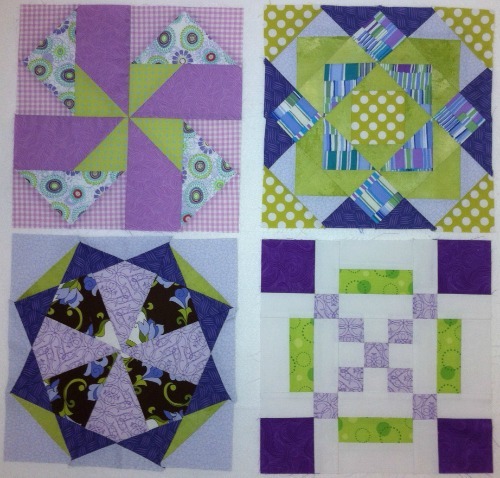 To design a quilt, you select the fabrics for your quilt in the fabrics palette, and then select blocks from the block library. Fill the blocks with fabric. 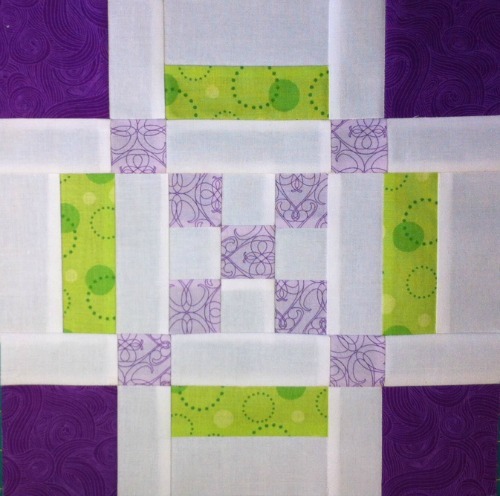 Place the blocks in the quilt grid. 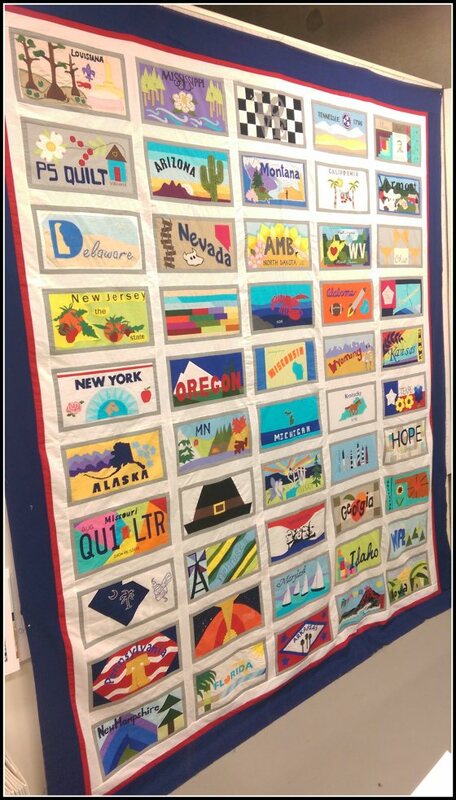 You can go back to the block design to adjust the fabrics until you are happy with the placement, and then you can see the finished quilt in the quilt view. 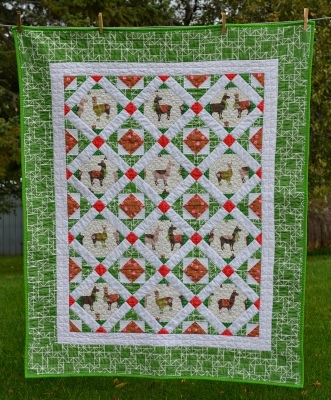 You can be sure the fabrics you are purchasing will look great together in your finished quilt. 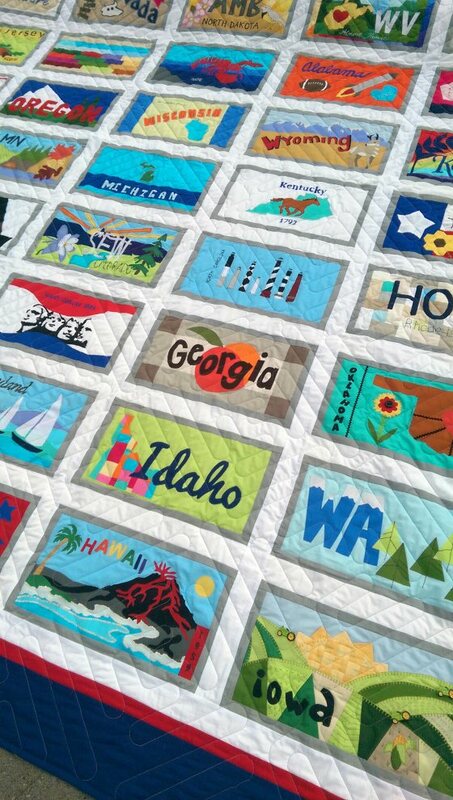 Quilt design software and quilting calculators do a good job of determining how much fabric you should buy for your project, but it is always best to round up to the nearest quarter yard to make sure that you can finish the project without running out of fabric. NaBloPoMo – The Cure for Benign Neglect! 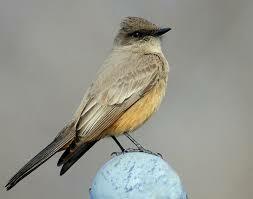 I read the daily posts of a writer named Brent Riggs who writes about blogging. Last week he wrote a post asking if we were responsible for neglecting our blog. The answer in my case is: yes. It isn’t because I have nothing to say, it’s because I am having the trouble finding the time. Or at least that is what I keep telling myself. 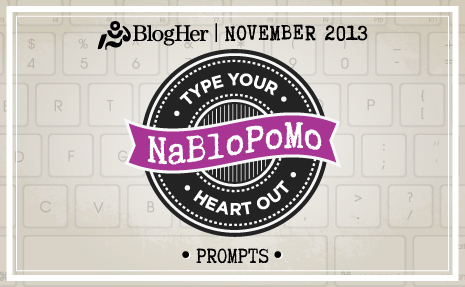 So, I am going to participate in NaBloPoMo this month: National Blog Posting Month. The idea is to set a goal and try your best to reach it. My goal is to blog every day this month. It may be a photo, or writing about a prompt that is provided for this challenge by the folks at Word Press, or my favorite subject: quilting. It will help me get back to scheduling the time to show my blog a little love, and re-engage with you, my friends. So stay tuned, and we will see how close I can come to meeting this goal! If you write a blog yourself, you might be interested in participating. To read more about the project, click here. I have published an article on Answers.com about using discarded men’s neckties for quilt-making. You can read the tips in the article, which I have linked at the bottom of this post. This subject first came to mind a couple of years ago when a friend of mine gave me a huge box of beautiful silk neckties. Her husband, a physician who wore a lovely tie to work every day, had died and she couldn’t bring herself to throw them away. I have taken the ties apart, sorted them, and cleaned them. What now? I have been considering two patterns for this project (which I will return to my friend as a loving memory of her husband). The first is the classic pieced “Bow Tie” pattern. Necktie fabric would translate well, and the solid background fabric would make the tie fabric pop. The templates for a 6 inch Bow Tie block can be found here: BowTiePDF. You can easily increase the size of the block by taking it to the copy shop and increasing the size of the templates. It would be fun to make 12 to 16 of these blocks and use Oxford cotton or other men’s shirting fabric for the shirt, and a variety of beautiful silk ties. 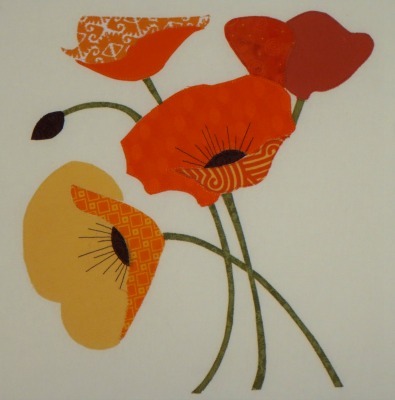 This pattern is for a 12 inch block and it will print out on four pages. Tape the pages together, using the registration lines in the margins, and cut out the foundation pieces. (3/1/2015: UPDATE. The digital paper-piecing pattern I originally posted had an error that I have been unable to correct. I am posting a new link for templates for the same 12 inch block. I apologize for the failed original link! Happy piecing.) The new link is here: StarchedShirtPDF. 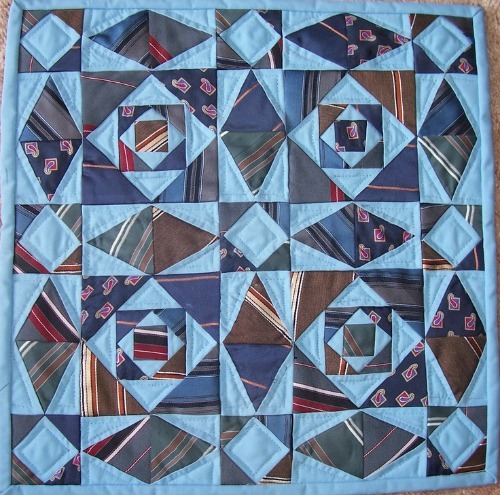 I have noticed a number of unique ideas for quilts using men’s ties on Pinterest. 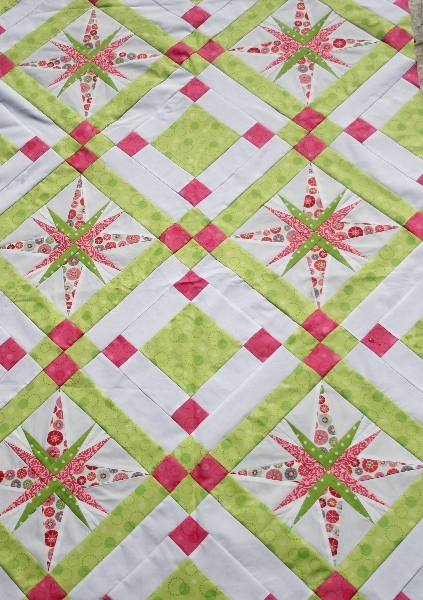 This “Tie Burst” quilt from QuiltingBoard.com is terrific because the entire top surface of the tie is used without the need for piecing. 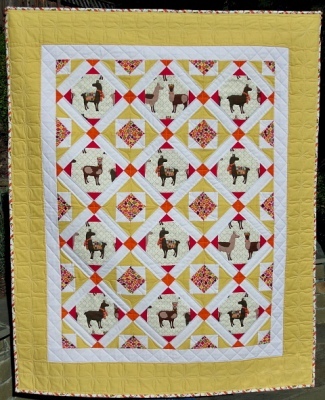 This quilt, which was inspired by the book “Daddy’s Ties,” by Shirley Botsford, was made and pinned by blogger, Shout4Joy. 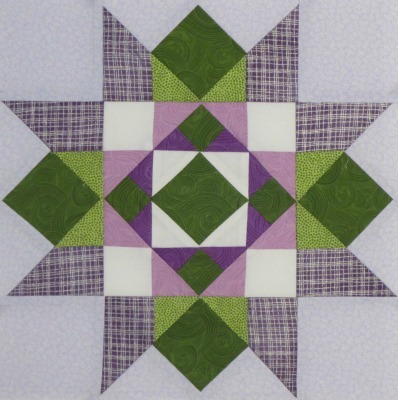 The pointed angles at the end of the ties are a perfect fit for the blades of a Dresden Plate block. 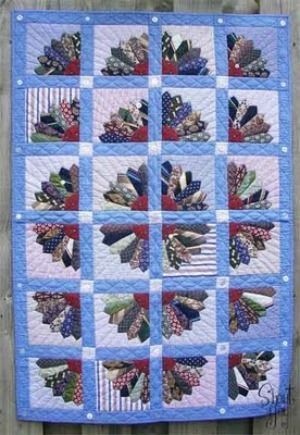 This quilt, based on the Storm at Sea pattern, was made by the pinner in memory of her father. 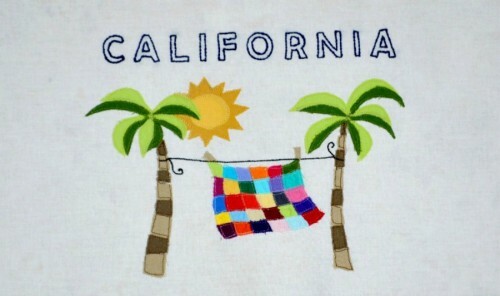 It was posted by Thimblebug6000 at Quilting Board. 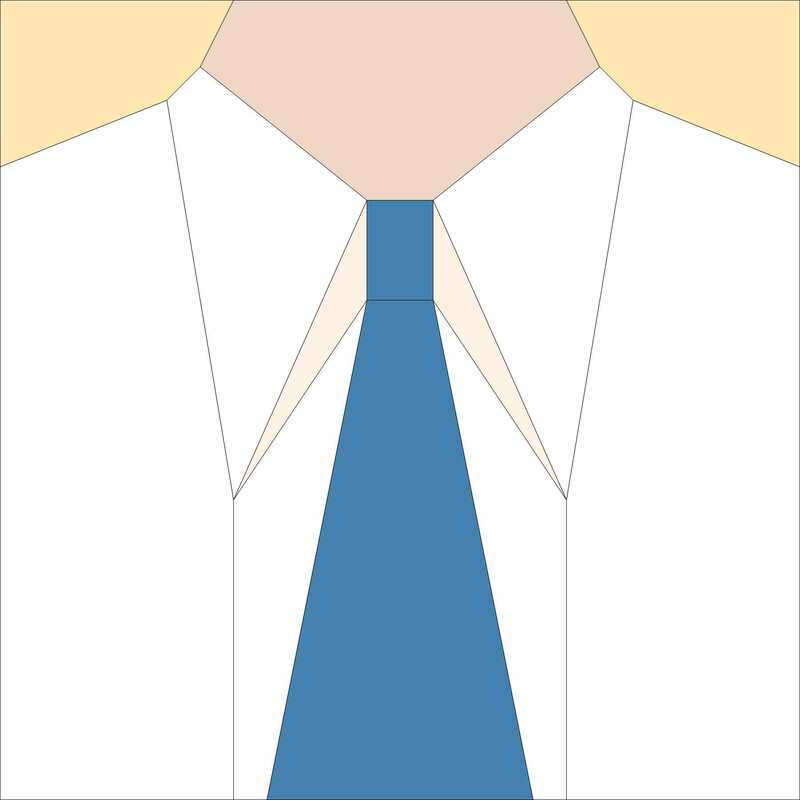 Men’s neckties can be used effectively in a variety of quilt patterns. They are generally busy prints with strong directional patterns so they need lots of solids around them to calm things down visually. 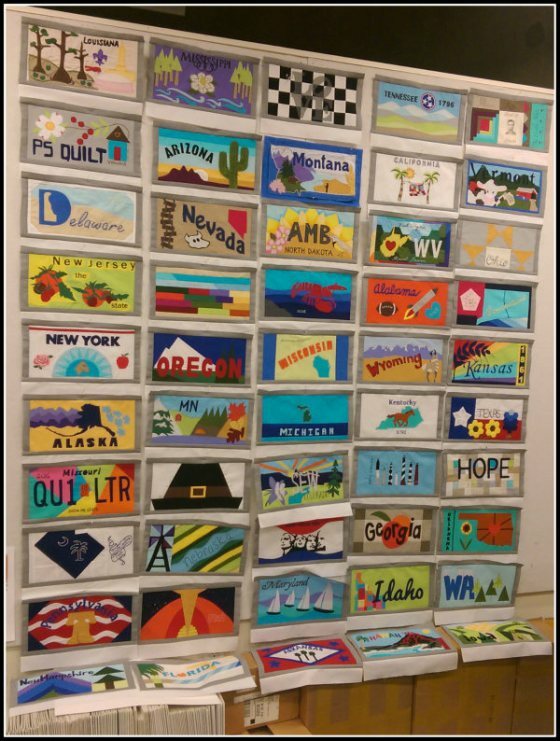 Visit a closet near you, or take a trip to the thrift store, and try your hand at making a unique quilt using men’s neckties! 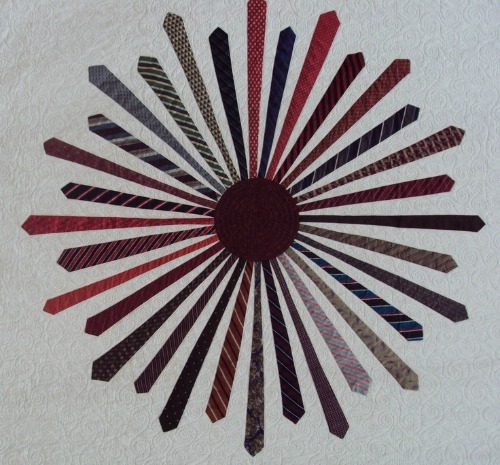 Here is the link to the article: Tips for Making Quilts Using Men’s Neckties. 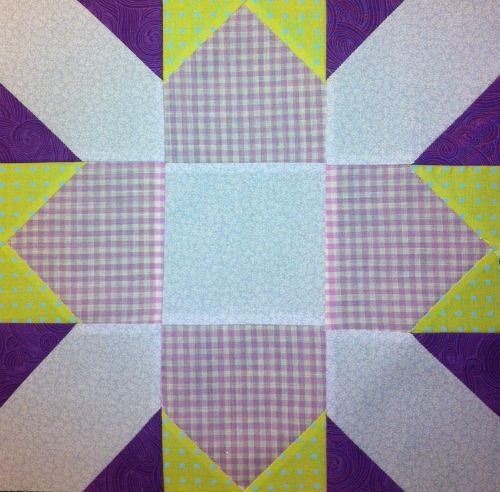 Setting quilt blocks on point in a diagonal setting creates triangular spaces on the edges and in the corners that need to be filled in to make the quilt square. Use these simple calculations to determine what size triangles to cut for those spaces. 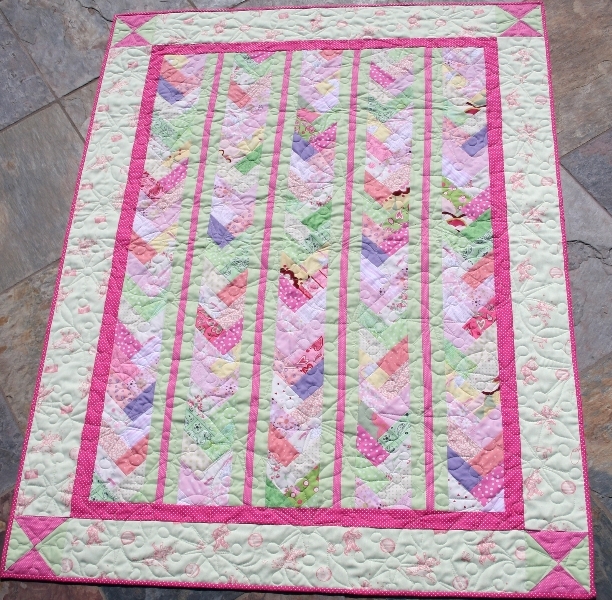 Lay the quilt blocks out on the floor, or put them on a design wall, arranged in the desired diagonal setting. Count how many side triangles are necessary. Do not include the corners. The total number of triangles = (a). Divide the total number of triangles by 4 = (b). Round up to the nearest whole number. This gives the number of squares of fabric you will need to cut. 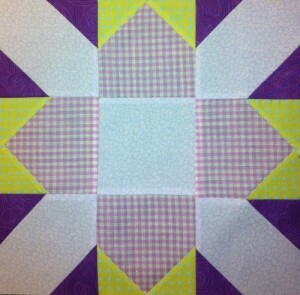 Take the diagonal measurement of a block used in the quilt = (c). Add 2 inches to that measurement. The total = (d). 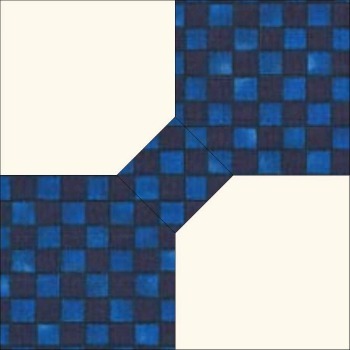 Cut the number of squares of fabric (b) to the measurement in (d). For example if (b) is 6 squares and your measurement (d) is 15 inches, you will cut 6 – 15 inch squares. 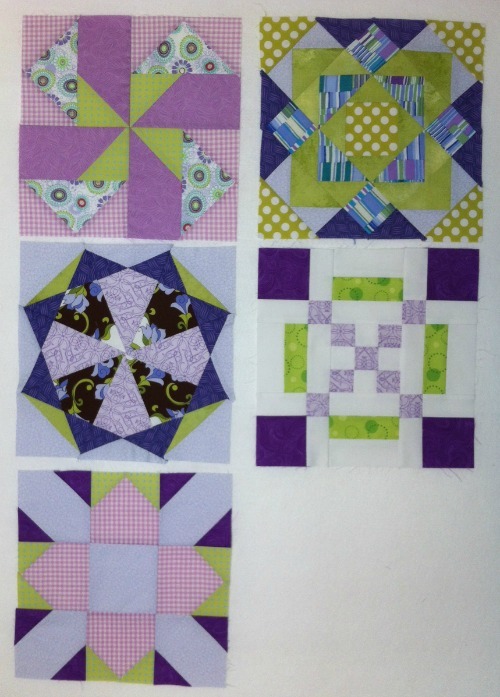 Cut each square into quarters diagonally. 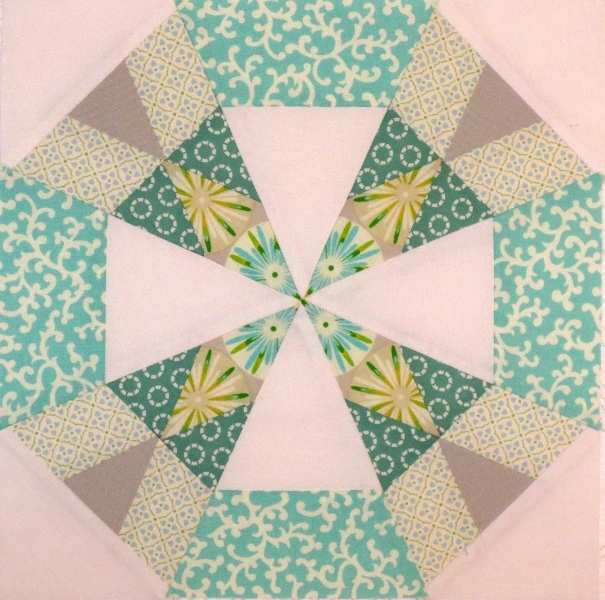 Lay these triangles around the edges of the quilt. Place these triangles in the corners of the quilt. 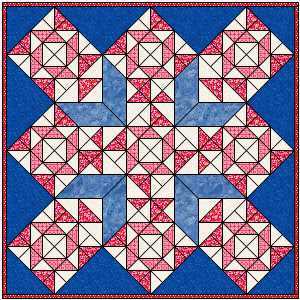 Note: These triangles will be slightly larger than necessary, but the excess can be trimmed away when the borders or binding is added, ensuring that the edges of the quilt will be even and square. Using some simple math calculations, you can easily determine the size of the triangles to cut for finishing your diagonal setting. Experiment with using a different color or print in the side and corner triangles to make the blocks appear as if they are floating on the background. 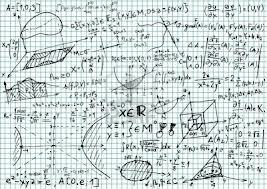 If the fabric calculations for your next quilt look like this, you might benefit from a quilting calculator! 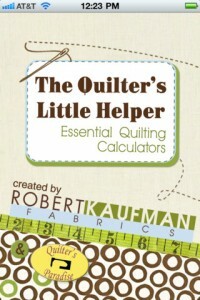 The good news is there are a number of free, easy-to-use calculators available, specifically designed for quilters. Quilter’s Paradise offers a calculator that will make a number of calculations for you, and it’s free. 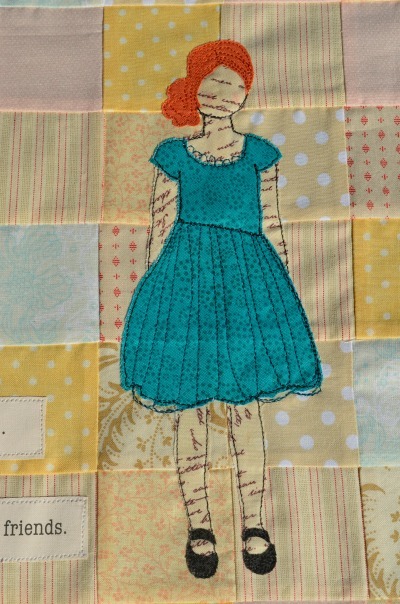 It will calculate how much fabric is needed if you want to cut a given number of fixed sized pieces, how much fabric will be needed for each border, as well as calculations for batting, backing and binding. It will also provide measurement conversions. This calculator does it all. 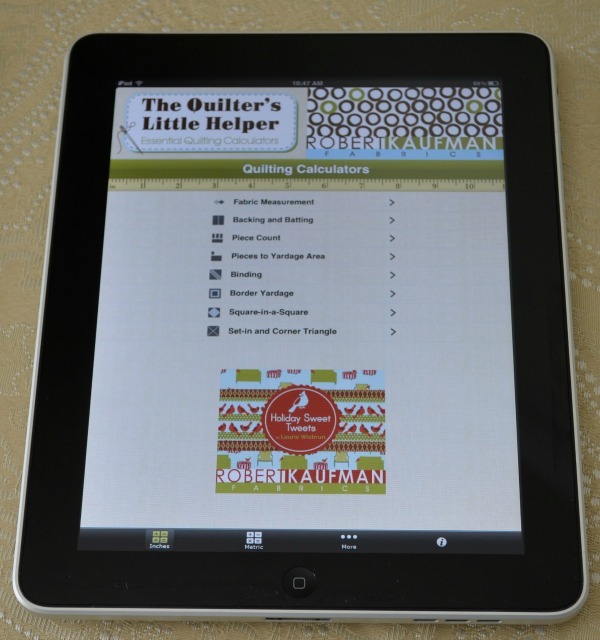 The Quilter’s Little Helper is a free iTunes App for smart phones and iPads. This App is extremely handy, as it lets you do the calculations while you are on the go. If you are in the quilt shop and need to figure out the amount of yardage you need to buy, you will have the tool to do it. I use this App on my iPad all the time and I love it! The Vrya website offers two versions of their calculator, which you can use for free online. You are also able to purchase a version for off-line use for $3.50, which is very affordable. This is a nice option if you want to make the conversions without needing to go online. The classic calculator offers yardage estimates based on the shapes used in each block: squares, triangles, half-square triangles, half-rectangle triangles, quarter-square triangles, trapezoids, and parallelograms. The flash calculator makes the same calculations, but you can simply click on the shapes you want to use, enter the number needed and it instantly makes the yardage calculation for you. 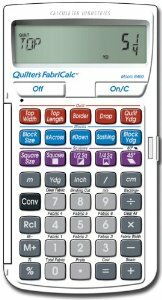 If you would prefer a more portable method of calculation, you might consider the Quilter’s FabriCalc, a hand-held calculator. 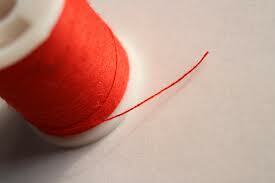 Not only does it perform all of the functions provided by the internet calculators, it also offers the ability to do a reverse calculation to find the number of shapes that can be cut from a piece of fabric, will calculate the cost of the yardage, and will store fabric yardage solutions for six individual types of fabric. The $22.00 price tag seems worth the money. These easy-to-use calculators eliminate the need for pencil and paper calculations and provide yardage estimates that makes it possible to buy all the fabric you will need for your project without the fear of running out of a particular fabric part way through the project. Put these calculators in your quilting tool box.